I’m sitting in The Red Lobster, a comfy little pub in the charming seaside village of Waterville about half way around the Ring of Kerry, and Pat’s pitching me her fish chowder. ‘You won’t find a better one anywhere’ she modestly announces. So I went for it. In hindsight, there was really no need to doubt her, because it was truly delicious. The Red Lobster was the perfect lunch interlude for my day trip around The Ring, a 170 kilometre round trip from Killarney that is simply an assault on all your senses. 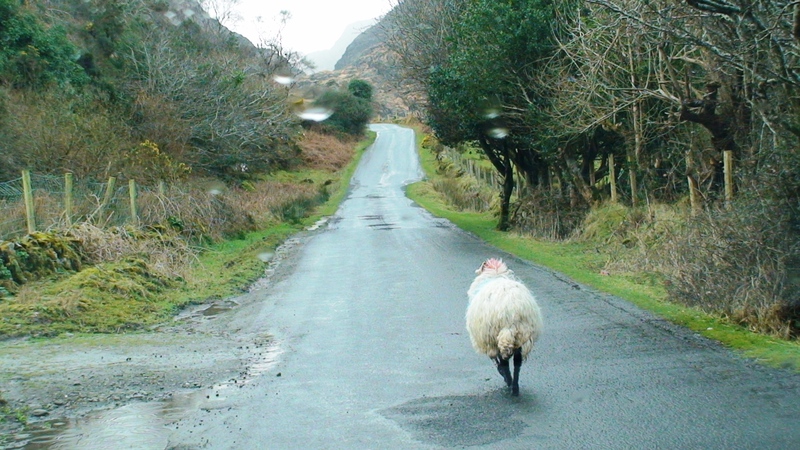 Kerry’s spectacular landscape is often compared with the rugged beauty of New Zealand and it’s very easy to see why, when spectacular mountains and valleys come to a screeching halt at the mighty Atlantic ocean. Although you can drive around The Ring from either direction, It’s best covered anti clockwise, so you really appreciate how the beauty quite literally builds to a grand climax. Setting out from Killarney, you’ll be on the well marked Ring Route in no time but don’t forget to take time out to stop off here and there to enjoy a diversion or two as you come across them it will be well worth it. 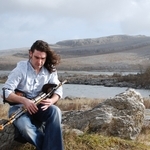 From a fairly languid beginning, rolling through some pleasant moorland countryside, it starts to get interesting once you hit Daniel O’Connell’s birthplace Cahersiveen, an interesting town to stop awhile and see one or two sights. There’s a few historic buildings including Ballycarbery Castle and Leacanabuaile a 9th century stone fort, and to keep up your strength grab a homemade scone at Helen’s coffee house on West Main Street, a great little homely café. Make sure you ask for Helen of course!. Past Cahersiveen there’s Valentia Island to visit and when you’re back on the main road again see if can spot Charlie Chaplin’s sculpture! 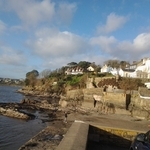 After that the drama really begins to build, because now you’ve hit the coastline and there’s some wonderful views here. But first it’s Waterville and The Red Lobster, so have some lunch and try Pat’s chowder. The route snakes around the cliffs here and wherever you look there’s a Kodak moment. Next visit Derrynane House, the home of Daniel O’Connell and Derrynane National Park, a paradise for botanists and ornithologists, which includes various nature trails and access another one of Ireland’s outstanding beaches. Moving inland about three quarters round, for me, the Ring’s main feature awaits. The National Park, with its outrageously fantastic vistas, includes Killarney’s great lakes which you see in all their glory from way above and then drive down a spectacularly windy route to drive around them on the way back to Killarney. 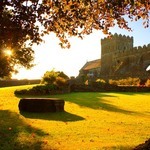 Just before you hit town and if you have the time, Muckross House and Gardens is worth a visit. It was the Muckross Estate funding that created the National Park and you can take a jaunting car, the Irish version of a sprung horse drawn 2 wheeled cart around the extensive grounds. 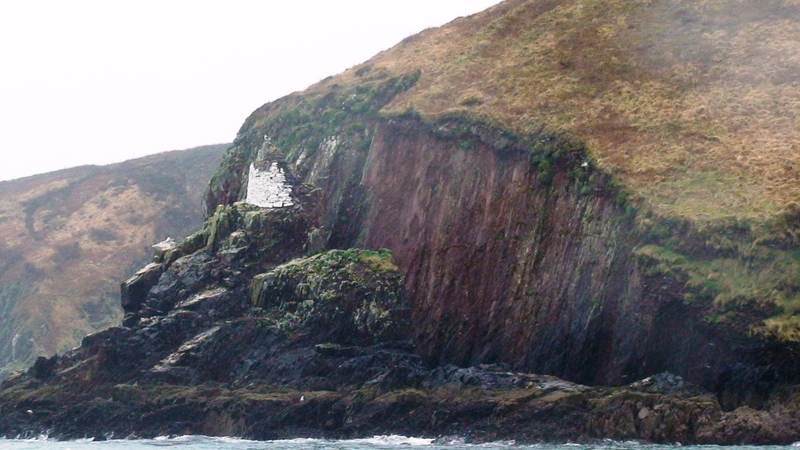 The Dingle Peninsulais another voyage of discovery and some might even venture is more spectacular then the mighty Ring. 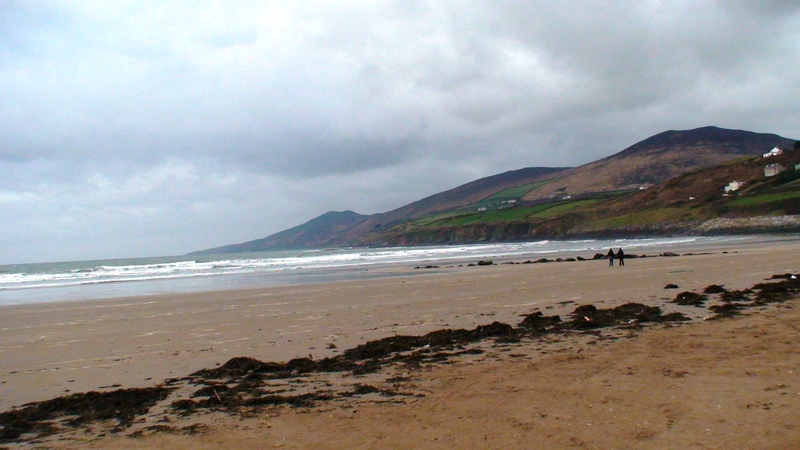 Inch Beach is a wonderful spot near the beginning of the drive that is simply miles of open sandy beach leading down to the rugged Atlantic. Spend a while just walking around here and let yourself think that the Big Guy upstairs was truly in a happy mood when he created this part of the world. 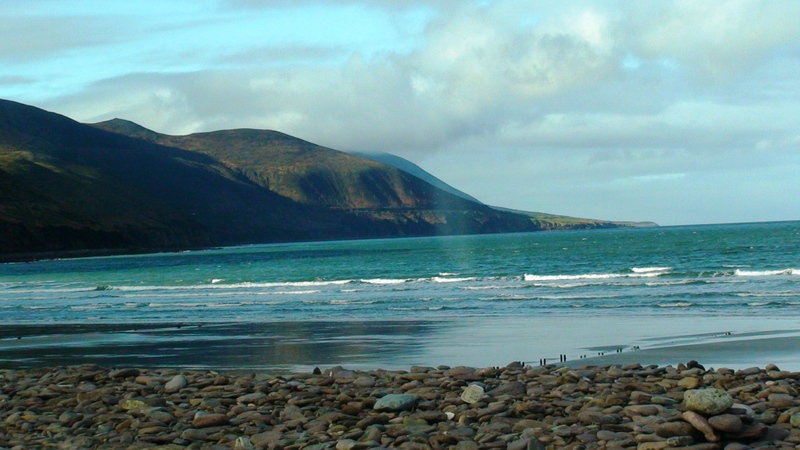 The centre piece of the drive though is Dingle itself; a lovely little fishing port and the most westerly town in Europe, has had a welcome guest for over 27 years. 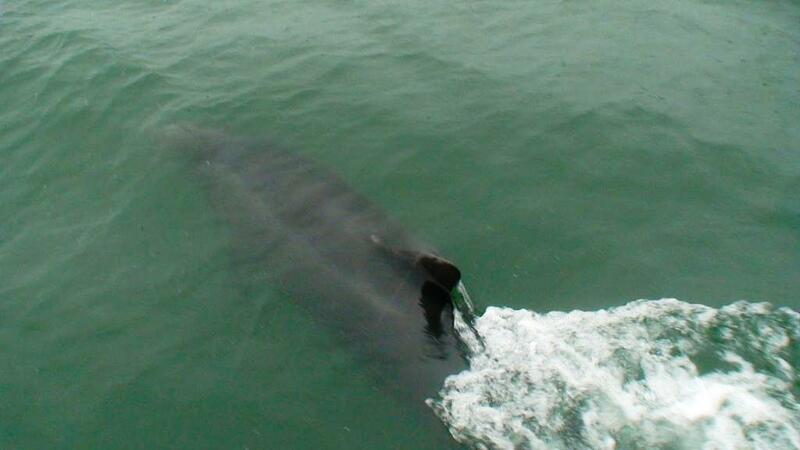 Fungi, a bottle nosed dolphin made the harbour at Dingle his home and has stayed there ever since. The local fisherman put on frequent boat trips out into the harbour and he’ll come out and have a play with you if he feels like it. He is in the wild, and they’ll tell you ‘he’s his own boss and he’ll do what he wants’. If he’s not in the mood and doesn’t show up, you might not even have to pay! Treat yourself to lunch in any of the pubs along the harbour front; the fare is good hearty home cooked stuff, and it will set you up for the rest of the drive westwards into the heart of the Irish speaking “Gaeltacht” areas. 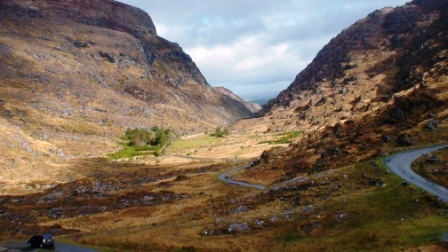 On the way back to Killarney you’ll pass by The Gap of Dunloe. This is a stunning pass through a huge mountain range and another must see that will take day if you walk it, or an hour or so if you drive it. You can even take a jaunting car through it! Which ever way you do it, you simply have to take part in an incredible experience you will never forget. Kerry’s riches are more than enough for a long weekend, and can certainly be stretched to a week’s worth if you add some golf or fishing to it. And one thing’s for sure, travelling The Ring may not be as dangerous as Frodo’s journey, but I can assure you it is just as memorable. The Malton is certainly worthy of a mention here. A beautiful 4 star mansion set in its own grounds which has an illustrious history as one of the famously grandiose railway hotels of the 1800’s and where, I’m led to believe, most of the movie Ryan’s Daughterwas edited after a day’s shooting around Kerry. It’s got a great spa, really comfortable lounges (roaring fires and overstuffed sofas), spacious bedrooms and gave me probably the finest steak meal I’ve had in many a year. Kilkenny. Friendliest city in the world?